A man shook his girlfriend’s baby daughter so hard she suffered potentially life-threatening brain injuries. The defenceless 13-month-old suffered bleeding on the brain and the back of her eyes as well as bruising to both ears, head and to her back at the hands of Carl James. 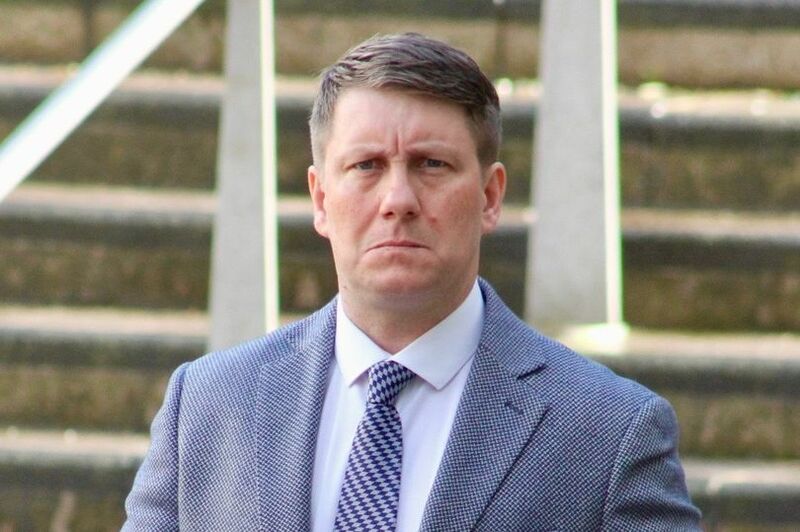 Jurors found that James, 41, from Wirral, who said the child had never taken to him, had caused the injuries in just half an hour while her mum Kelly Parry went to a counselling session. The now toddler has made a good recovery but was in foster care for nine months away from both her parents while investigations were made into who had injured her. The court heard that James had given no explanation for the attack but previous text messages spoke of on-going issues about the child clinging to her mum and not taking to him. James also had concerns about Ms Parry’s parenting skills. Graham Pickavance, prosecuting, said: “There was obviously some issue between him and the child and that morning there was a sustained attack on the child. There was shaking and bad bruising to both ears. Judge Gary Woodhall said that the former support worker, who showed no emotion in court, had not demonstrated any remorse. He said there had been earlier incidents including the girl suffering a significant bruise to the back of her head and a fractured skull, although it was not known if that had been accidental. Sentencing James to seven years in prison, Judge Woodhall said: “Whatever suspicions there may be about previous violent actions to her, on the basis of the medical evidence and faithful to the jury’s not guilty verdict I am obliged to sentence you for a single incident of violence on September 1. He said that a doctor described it as “very serious and potentially life threatening. Judge Woodhall said that “in all likelihood” he had acted in temper or out of frustration. James, of Watersedge Apartments, Tower Promenade, New Brighton, Wirral, had been convicted of causing grievous bodily harm with intent on September 1, 2017 and acquitted of causing grievous bodily harm on or about August 27 that year. The child’s mum, Kelly Parry, 31, of Islington, Liverpool, who was cleared of child cruelty, was present in the public gallery for today’s sentencing. Graham Pickavance, prosecuting, told Liverpool Crown Court that James started a relationship with Parry in April 2017. She was living with her mother and the baby in Liverpool after separating from her husband, the child’s dad, who lived in Birkenhead. On September 1 she left her daughter in the care of James, as she had a counselling appointment, and half an hour later he rang for an ambulance for the baby. He later described putting her on the floor as she had been ‘sofa surfing’.